We have 52 volcanoes in our database. When you live on a volcanic island like Camiguin you have to get information about your volcano. 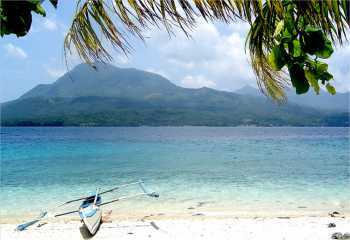 Actually we live on Camiguin because we like volcanoes. If you ever have seen Mount Mayon's glowing lava tears in the night, or if ever you have sat on the Stromboli watching this natural firework, you understand our choice. We do not claim having brought new facts. The only thing we do is gather information and publish it in a easily readable form. Our thanks go to the Philippine Institute of Volcanology and Seismology / Suriang Pilipino ng Bulkanolohiya at Sesmolohiya and the Smithsonian National Institute of Natural History. Volcanoes are potentially dangerous. PHIVOLCS	maintains	a network of observatories and publishes valueable information. Before you approach a volcano, please read the Phivolcs Flyers visit their website and contact the responsable Phivolcs station/observatory. Some volcanoes are very near to each other. You may need to zoom-in the map. 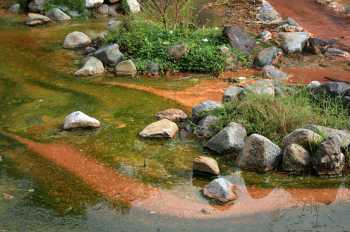 Activity There are a number of sites with strong steam emission, fumarolic activity, surface sulfur deposits, hot fresh water springs, hot sulfurous water springs, sulfur staining of riverine rocks and poisonous gas emission. 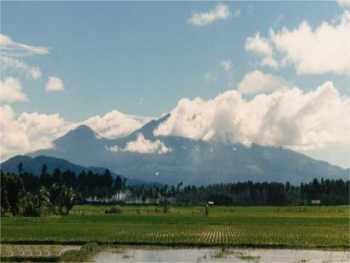 The Ambalatungan Group is a dacitic little-known cluster of volcanoes. It was described as consisting of three volcanoes constructed along a roughly E-W line. Binuluan volcano contains a steep-walled crater with hot springs and vigorous sulfur-encrusted fumarolic vents that produce loud noises. 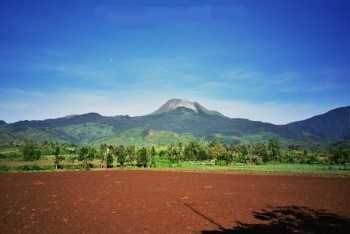 Bumabag volcano, 3 kilometres east of Binuluan, has two craters that also show strong fumarolic activity. 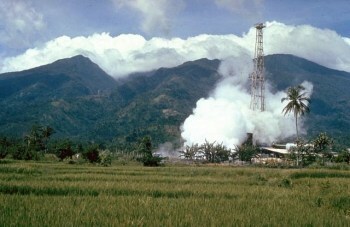 Podakan volcano, 1 kilometre SE of Bumabag, also has a large steam vent. 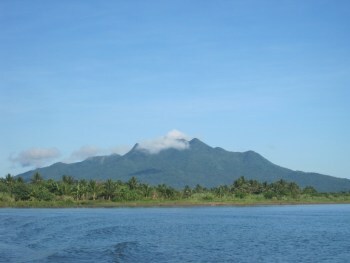 The Bumabag and Podakan volcanoes could possibly be flank vents of Mount Binuluan. Amorong volcano a small lava dome in NW Luzon Island, 80 km NNE of Pinatubo volcano, and belongs to the Eastern Volcanic Chain or Balungao Group, a chain of subduction volcanoes behind the Manila Trench. It is the only of a group of several lava domes that still has fumarolic activity. It was active from about 740,000 years ago. The chemistry of Amorang's lavas is unusual in that it has elevated Niobium (Nb) and high Cr, Ni and Mg concentrations which can not be explained by qan unusual degree of mantle melting alone, and probably involve contamination by crustal rocks as well. 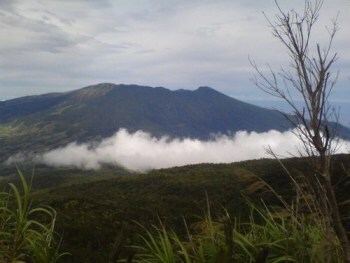 Mount Apo is the highest mountain in the country and overlooks Davao City, a few kilometres to the northeast. Its name means "master" or "grandfather". Apo is flat topped, with three peaks, and is capped by a 500 m wide volcanic crater containing a small crater lake. It is a source of geothermal energy, but the date of its most recent eruption is unknown, and none are verified in historic times. Mt. 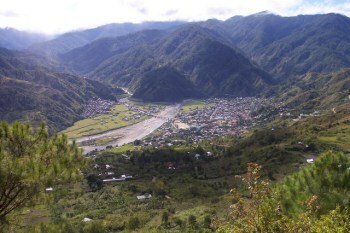 Apo is a popular hiking destination in the Philippines. 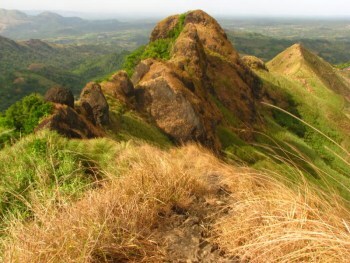 Several trails lead to the summit, coming from North Cotabato and Davao provinces. An average hike requires 2-4 four days. 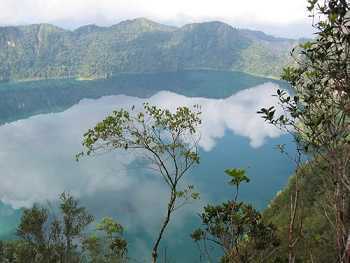 Various sights include Lake Venado, one of the highest lakes in the Philippines, and the old crater of Mt. Apo near its summit. In the classification system used by local popular mountaineering website PinoyMountaineer.com, the difficulty of the hike is 7 out of 9. The mountain may be climbed year-round. There are no cultural records of historical eruptions. 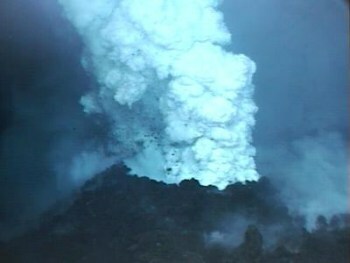 However, weak steaming is currently present in some of the heavily eroded vents on the North Western side of the summit. The ancient eruptions were said to have caused the formation of a Lava Dome on the Western Slopes of the mountain known as White Rock which makes a nice tourist destination and is usually a field trip destination for students of Pampanga Agricultural College. 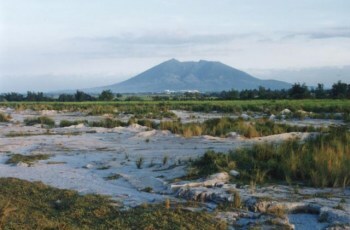 The Arayat amphitheatre is said to have been caused by the summit's collapse on the western side but a much deeper crater is present on the eastern side, it was said that the mountain was once a volcanic island, until eruptions covered the surrounding area with soil, eruptions were said to be the possible cause of a theorized re-route of Pampanga River which is said to have once passed on the western side rather than eastern side where it currently moves. Activity Askedna Hot Springs is located in the southern base of the volcano. Babuyan Claro has four morphologically fresh volcanic edifices: Mt. Cayonan in the south, Mt. Naydi and Mt. 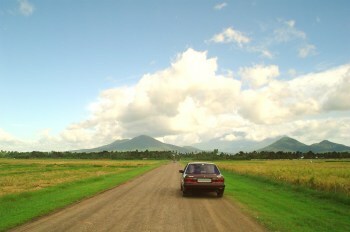 Dionisio in the southeast and Mt. Pangasun, a stratovolcano which has two very well-preserved craters 300 and 400 m in diameter. 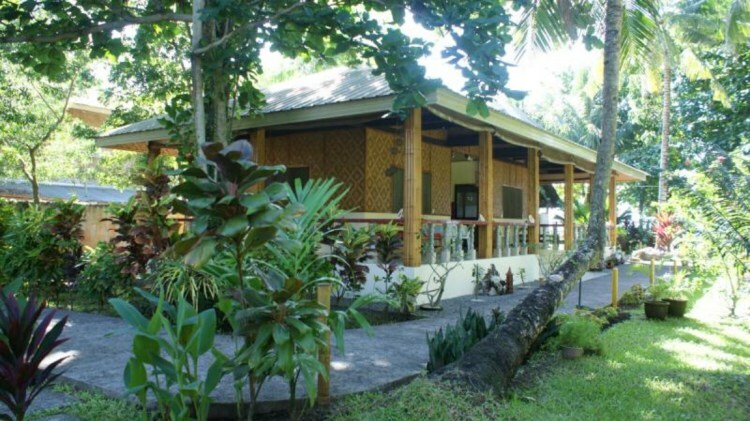 It has one hot spring called Askedna Hot Spring which is located at the southern basal slope of Babuyan Claro. It has a temperature range of 44.6 to 50.2°C. The water in Askedna hot spring is slightly acidic and the silica content is relatively high since the spring flows directly from lava flow deposits. The spring water can be classified as near-neutral sodium-chloride brine. In July 1993, there were reports of earthquakes and an alleged drying up of vegetation at the upper slopes and summit area of the volcano but volcanologists said the earthquakes were of tectonic origins and there was no significant change in the volcanic activity. 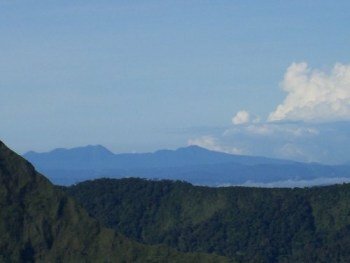 In February 2004, there were reports of grayish steam clouds hovering above the summit but volcanologists from Phivolcs said the seismic swarm was of tectonic origin and the steaming activity was only wispy to weak. 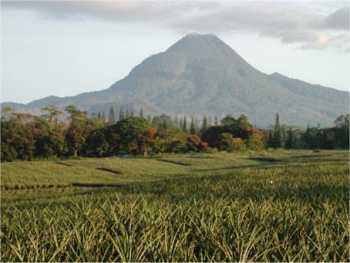 Mount Balatukan is a massive compound stratovolcano. There are no historical eruptions on Mount Balatukan. The age of its last eruption has not been studied, although some lava flows on the sides of the mountain are determined as Pleistocene. 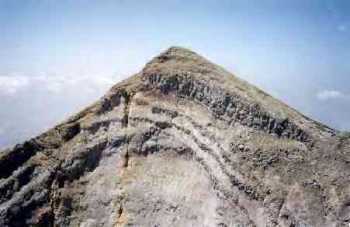 Fumarolic activity is present on the mountain, but its form displays extensive erosion. 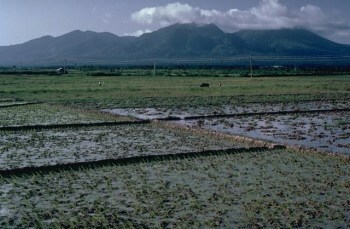 Balut Island, the westernmost of the Sarangani Islands, is the larger, higher, and better cultivated than Sarangani Island. 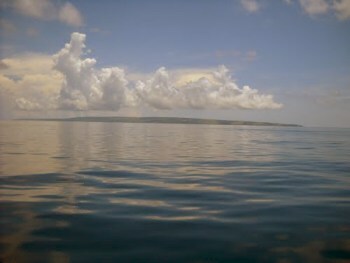 In the center of the island is Balut Volcano, which is fumarolic on occasion. 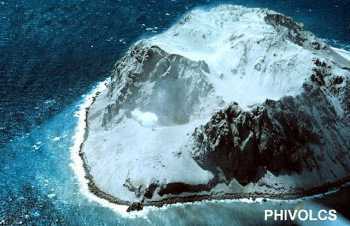 Balut Island rises to about 1,800 metres from the seabed with the highest elevation at 862 metres above mean sea level. 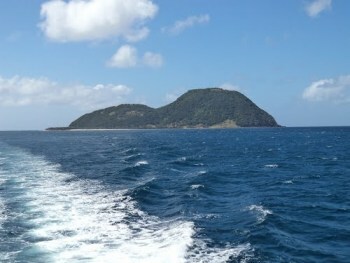 Base diameter of the island is 8 kilometres. 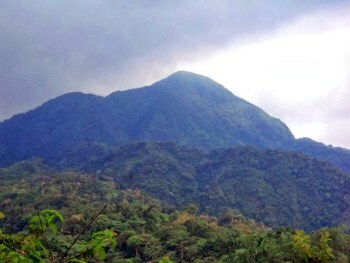 The Banahaw volcanic complex includes Mt Banahaw (2158 m), San Cristobal (1470 m), and Banhao de Lucban (1870 m) volcanoes. 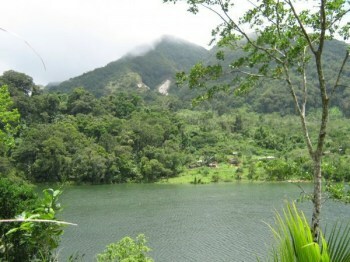 Banahaw has a 2-km-wide, 600-m-deep summit crater open to the SSW and contained a crater lake until 1730, when it drained to form mudflows. Similar events took place in 1743?, 1843 and 1909. A large collapse of the NE flank of Banahaw produced a debris avalanche deposit with a volume of 5 cubic km. The event lest a 8 km wide and more than 1 km deep horse-shoe shaped depression extending from 1700 m to 650 m altitude. 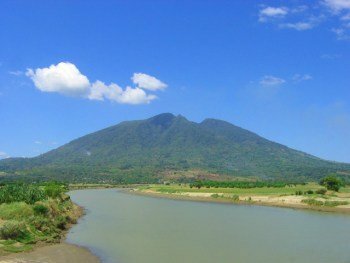 The oldest deposits from Banahaw volcano are known as the Lucena pyroclastic flow deposits, visible on the shore at Tayabas Bay near Lucerna City and at the eastern base of Banhao de Lucban stratovolcano. 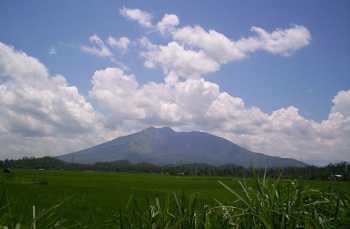 Banhao de Lucban is the youngest stratovolcano of the group. 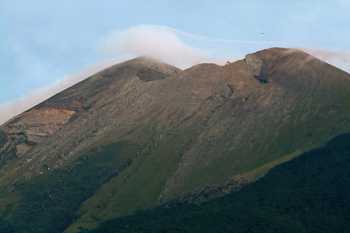 It forms a steep cone on the eastern flank of Banahaw volcano, and overlies the debris avalanche of Banahaw volcano, and therefore is younger than that event. 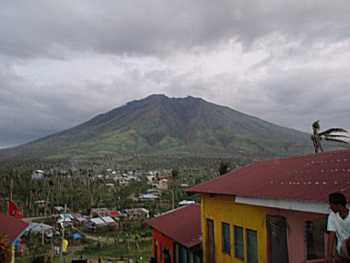 San Cristobal stratovolcano lies on the western flank of Banahaw volcano. 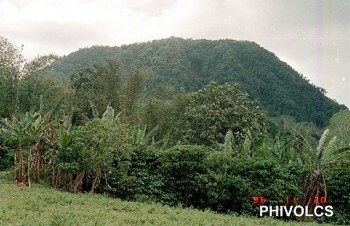 It has a youthful shape indicating a younger age than Banahaw. The absence of soil covering the youngest volcanic layer of San Cristobal ("San Cristobal 3 unit") suggest that it might be younger than 2000 years. 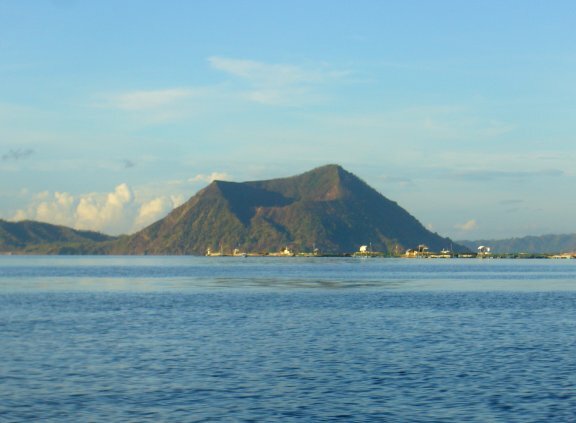 The volcanic island of Biliran, located across the narrow Biliran Strait from the northern tip of Leyte Island, contains many prominent andesitic lava domes, the highest of which is 1301 m Surio. 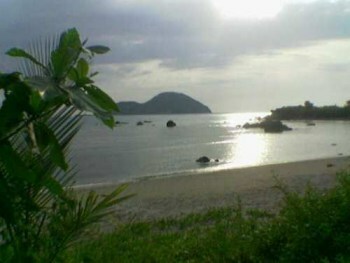 Several Pleistocene K-Ar dates have been obtained from volcanic centers on northern Biliran Island. Fumarole fields are scattered throughout the 20 x 35 km wide island. 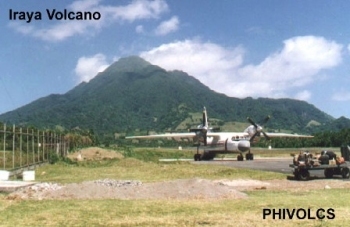 The only known historical activity at Biliran was a phreatic explosive eruption and possible debris avalanche at a thermal area in 1939. Local earthquakes accompanied by rumbling sounds were reportedly felt at places near the volcano. 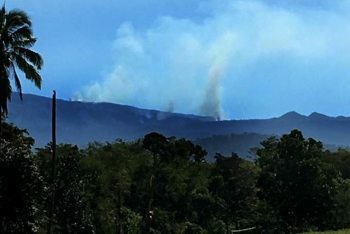 Furthermore, thick steam clouds rising from the volcano and drying up of vegetation at the upper slopes were reportedly observed by boat passengers and fishermen. Data gathered, however, by the investigating team showed that no unusual volcanic activity took place. 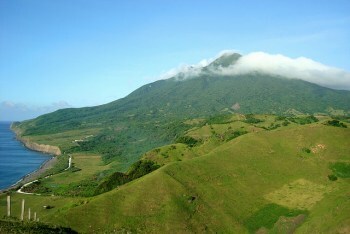 Luzon's southernmost volcano, Bulusan, was constructed along the rim of the 11-km-diameter dacitic-to-rhyolitic Irosin caldera, which was formed about 35,000-40,000 years ago. 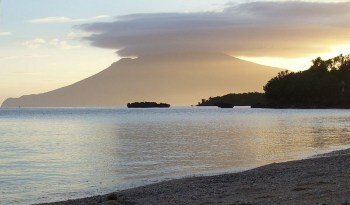 Bulusan lies at the SE end of the Bicol volcanic arc occupying the peninsula of the same name that forms the elongated SE tip of Luzon. A broad, flat moat is located below the topographically prominent SW rim of Irosin caldera; the NE rim is buried by the andesitic Bulusan complex. 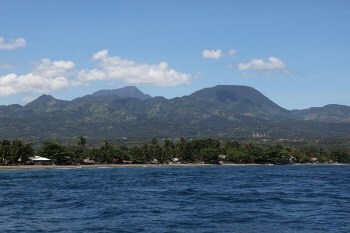 Bulusan is flanked by several other large intracaldera lava domes and cones, including the prominent Mount Jormajan lava dome on the SW flank and Sharp Peak to the NE. 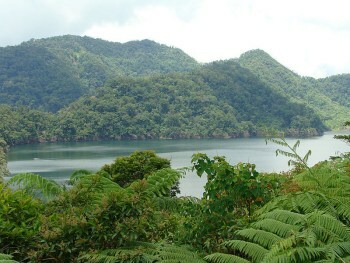 Bulusan has four craters and four hot springs. Crater No. 1, called Blackbird Lake, is 20 m in diameter and 15 m deep. The oval Crater No. 2 is 60 m by 30 m and 15 m deep. Crater No. 3 is about 90 m in diameter and 20 m deep and Crater No. 4, which is near the northeastern, rim opened during the 1981 eruption. There is also a 100-meter fissure measuring 5 to 8 m wide below Crater No. 4.. 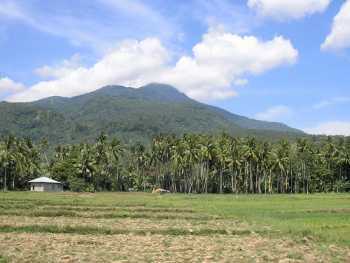 Many moderate explosive eruptions have been recorded at Bulusan since the mid-19th century. 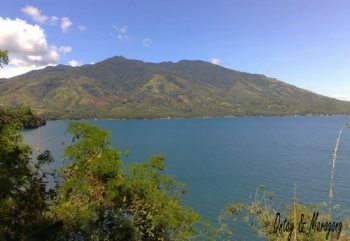 Mount Bulusan in Sorsogon had shown increased activity since November 17, 2010. 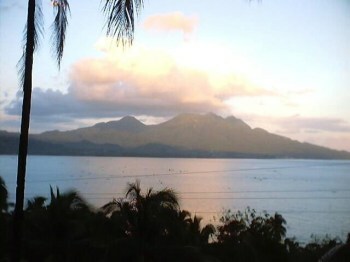 Bulusan Volcano has returned to normalcy following a general decline of monitoring parameters after its last phreatic (steam-driven) eruption on May 13, 2011. In view of the overall decline in all parameters, PHIVOLCS has now lowered the alert status of Bulusan Volcano from Alert level 1 to Alert level 0. This means that no eruption is foreseen in the immediate future. However, the public is reminded to avoid entry into the 4-kilometer Permanent Danger Zone (PDZ) due to the perennial threat of sudden phreatic eruptions and rockfalls on the upper slopes. Cabalian is classified by the Philippine Institute of Volcanology and Seismology (PHIVOLCS) as active with solfataric activity. Radiocarbon dating on a pyroclastic flow deposit from the volcano estimated that the last eruption was in 1820 +/- 30 years. Activity Strong solfataric activity in 1907. Thermal areas are located near the summit and NW to NNE flanks. 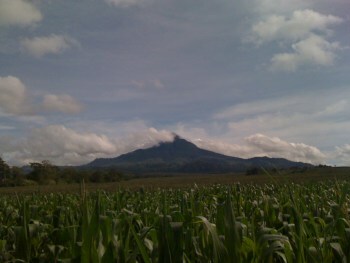 Mount Cagua, a 1133-m-high stratovolcano, lies at the NE tip of Luzon. 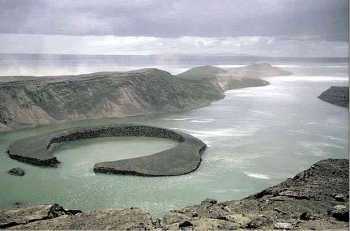 The circular summit crater is 1.5 km in diameter, with steep, 60-m-high walls. Basaltic-andesite and basaltic lava effusion characterized the initial stage of volcanism during the early Pleistocene. From about 600,000 to 300,000 years ago thick pyroclastic flows covered the entire volcano. Recent periods of phreatomagmatic activity have produced ash flows. 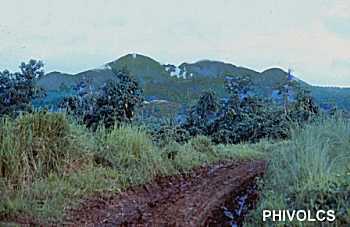 The forested volcano is locally known as the "Mountain of Fire." A phreatic explosion in 1860 may have been accompanied by a pyroclastic flow. Strong solfataric activity occurred in 1907, and thermal areas are located near the summit crater and on the NW to NNE flanks. Mount Cagua has six hot springs. Maasok near the crater; Marafil in the northwest; Manaring, five kilometers north-northeast; San Jose, 10 kilometers north-northeast; Kabinlangan, three kilometers northwest and Paminta, two kilometers north-northwest. Activity Fumarolic with thermal springs. 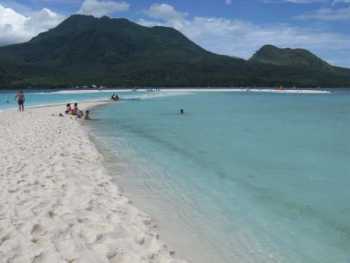 Camiguin de Babuyanes is a semi-active stratovolcano on Calayan Island part of the Babuyan Islands group, in Calayan municipality, in the province of Cagayan. 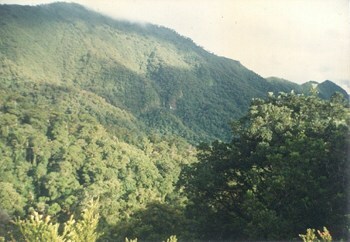 Well forested, Camiguin de Babuyanes has an elevation of 712 metres, and a base diameter of 3,200 metres. 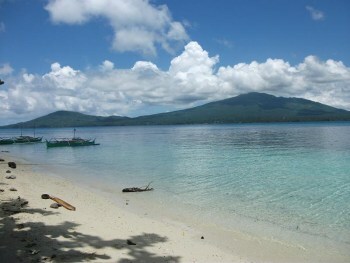 Mount Camiguin occupies the SW tip of 22-km-long Calayan Island. Fumaroles are found on the southwest, west, and east flanks of the volcano. 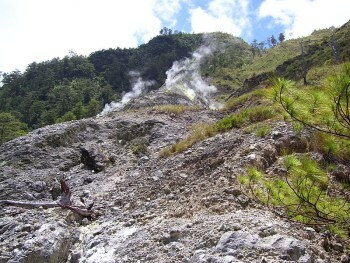 A boiling spring is located near sea level on the western flank of the volcano. 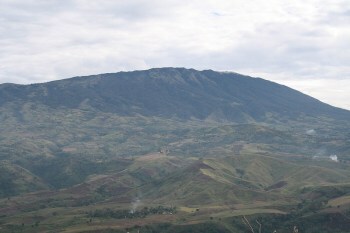 Cancajanag is classified by Philippine volcanologists as a potentially active dome complex volcano with an elevation of 900 meters and a base diameter of 4 kilometres. It has a hot spring, Mainit Spring (Anahawan) with a temperature range of 63.4°C to 63.9°C, Adjacent Volcanic Edifices are Alto Peak which is 6.2 cadastral km NNW of Cancajanag, and Lobi which is 6.6 cadastral km SSE of Cancajanag. 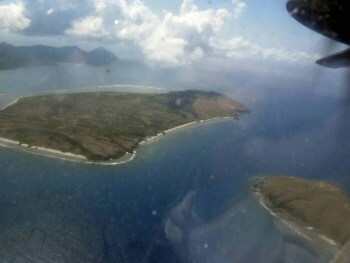 On August 11, 2011, a 6.0-magnitude earthquake at 10.56 a.m. (PST), (02:56 UTC) was centered less than a kilometer from the western coast of Dalupiri Island. It struck about 113 kilometers deep, making it a tectonic (non-volcanic) earthquake. 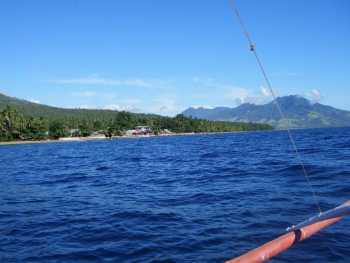 Didicas volcano, 22 km NE of Camiguin Island, was a submarine volcano prior to 1952, when a permanent island was formed. Didicas now consists of a small, 244-m-high andesitic lava dome about 1.4 km in longest exposed dimension. A 400-m-wide crater was formed during the 1952 eruption. The first recorded submarine eruption of Didicas was in 1773. The first recorded subaerial cone reached a height of 213 m in 1860, after a four-year-long eruption, but soon was eroded beneath the sea. Three rock masses up to 82 m high were left after an eruption in 1900. 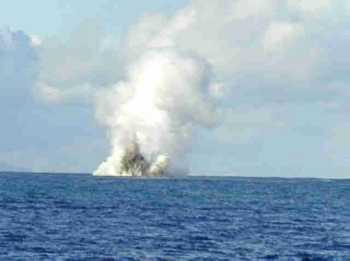 Two eruptions have occurred since 1952 at an explosion crater on the northern side of the island. Mt. 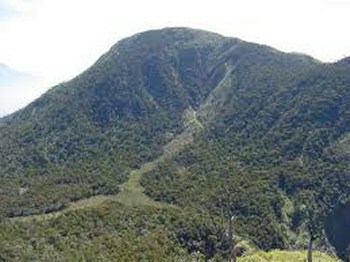 Mambajao forms the high point of Camiguin Island at 1552 m. It has a youthful morphology with summit and flank lava domes, one of which partially fills a crater breached to the NW, but has not had historical eruptions. The eroded stratovolcanoes of Mt. Butay and Mt. Guinsiliban form the SE tip of the island and lie at one end of the NNW-SSE trending line of vents cutting across the island. 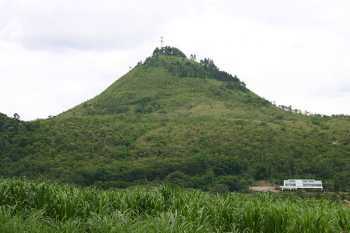 The Benoni cinder cone lies along the SE coast. 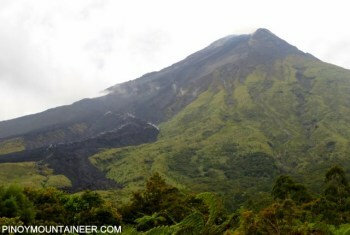 The youngest volcano, and the only historically active one, is Hibok-Hibok. It lies at the NW end of the island, about 6 km NW of Mt. Mambajao. This andesitic-to-rhyolitic volcano contains several lava domes, including Mt. Vulcan on its NW flank. 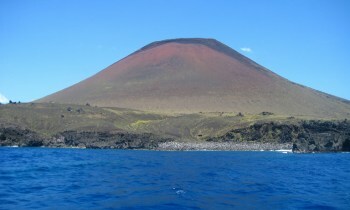 The volcano is located 5 kilometres off Ibugos Island. Activity Seismic swarm in 1998. 1998 Seismic swarm. 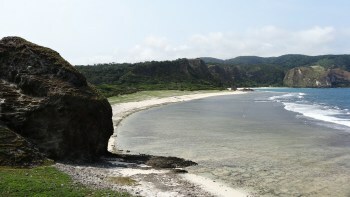 A temporary seismic monitoring network was established in Batan Island and was maintained for several months. When frequency of earthquake occurrences diminished, the temporary stations, one in San Joaquin and another near Iraya's crater, were pulled out. But the Basco Seismological station continued to monitor the seismic movement of the island as well as any activity that may be attributed to Iraya Volcano. 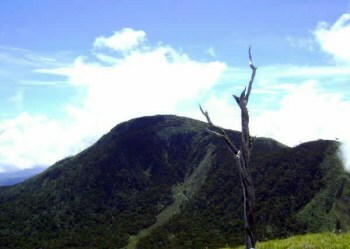 Mount Iriga is a small stratovolcano that rises to 1196 m immediately SW of Lake Buhi. The dominantly andesitic stratovolcano has satellitic cinder cones of basaltic composition. 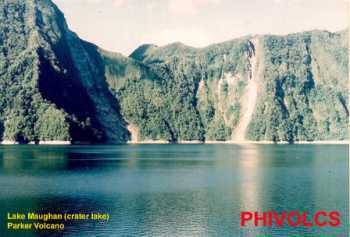 A large breached crater that opens to the SE was formed as a result of a major debris avalanche that buried several villages and formed a broad hummocky deposit that extends across the plain south of Lake Buhi. This catastrophic event was at one time considered to have occurred during 1628 AD, but later work has shown that the collapse and eruption occurred earlier at some unknown date during the Holocene. The avalanche was followed by phreatic explosions that created a small crater at the base of the scarp. 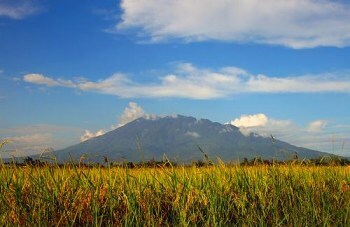 Mt Isarog is a large, isolated peak in Camarines Sur Province, on the Camarines Peninsula in southeastern Luzon. 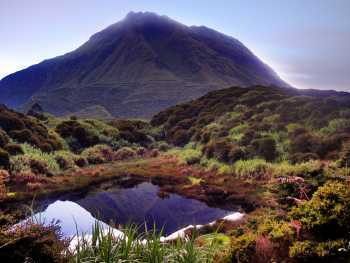 The mountain is a dormant volcano that rises to 1,976 m.
The vegetation there includes parang grasslands mixed with patches of secondary forest from the lowlands to 900m, lowland forest below about 1,000m, and montane forest above about 900 m,including mossy forest above 1,500 m. However, most of the remaining forest is montane, with closed canopy lowland forests restricted to very steep slopes within a narrow band around 890-1,000 m.
There is limited tourism in the area mainly to Malabsay Falls of Naga City and the sulfur hot spring of Hiwacloy. 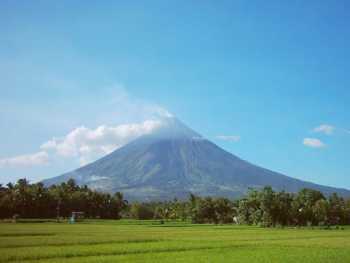 Jolo Group is an active group of volcanoes in the island of Jolo in Southern Philippines. A tsunami occurred in 1897, believed to have been caused by a local submarine eruption on 21 September 1897. It is possible this eruption was centered at Lake Seit, a volcanic maar with still active solfatara. Volcanoes in the Jolo Group are young and considered active. 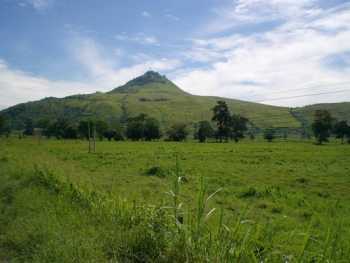 Mount Kalatungan, also known as Catatungan, is a volcanic mountain located in the province of Bukidnon. 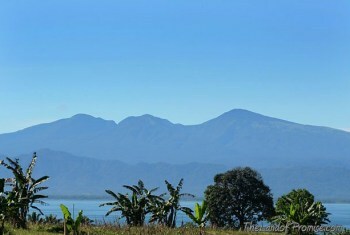 It is the second highest volcano in the Philippines and located 47 km east of Lake Lana. It is a stratovolcano with no known historical eruptions and classified by the Philippine Institute of Volcanology and Seismology (PHIVOLCS) as a potentially active volcano. 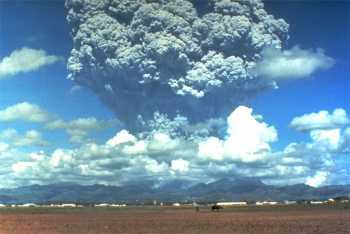 On August 10, 1996, Kanlaon erupted without warning. In the 8 days from 23 August to 1 September, 2009, 257 volcanic earthquakes were recorded. Usual seismic activity during quiet periods is 0 to 4 quakes in any 24 hour period. Epicenters of the recorded quakes were clustered at the north-west slope which may indicate movement of an active local fault at the slope induced by pressure beneath the volcano. Surface observations did not show any significant change in the steam emission from the crater." A 4 kilometre Permanent Danger Zone (PDZ) is maintained around the volcano, because sudden explosions may occur without warning. 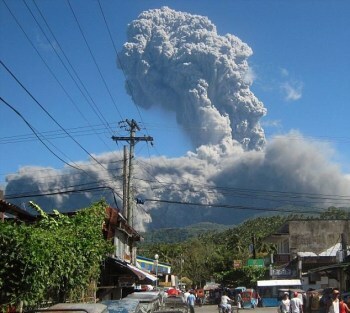 Phivolcs continuously monitors volcanic activity at Kanlaon. Mount Labo last erupted about 27,000 years ago, but still shows geothermal activity, in the form of warm and hot springs. There is geothermal exploration near Labo volcano. The Labo stratovolcano has erupted many andesitic-to-dacitic flank lava domes. Its earliest eruptions date back 580,000 years ago and constructed lava domes on the northern side of the complex. The present stratovolcano started to be built about 270,000 years ago. The latest known activity occurred 27,000 years ago and produced pyroclastic flows from the summit vent. 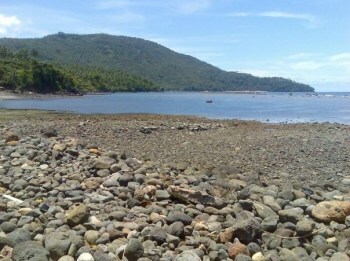 The elliptical, 10 x 20 km wide caldera of Laguna de Bay is located immediately SE of Manila. The caldera, whose lake surface is only 1m above sea level, may have formed at least two major eruptions of about 1 million and 27,000-29,000 years ago. 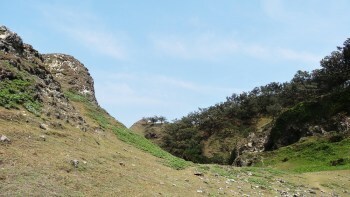 Activity after the caldera formation consisted in the formation of explosion craters on the southern end of the Talim Island at the SW rim of the caldera. 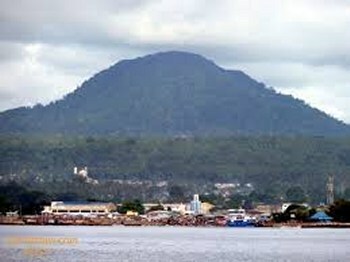 Latukan is flanked on the west by Makaturing volcano and on the NE by the historically active Ragang volcano. 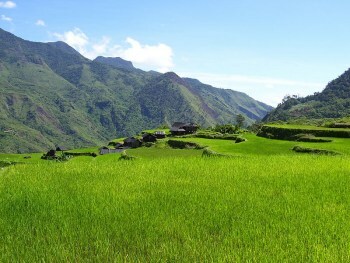 Latukan lies in an area of dominantly basaltic volcanoes west of the cordillera in central Mindanao. The age of Latukan's last activity is unknown. An andesitic-to-dacitic stratovolcano complex in the Leonard Range is truncated by a 4 x 5 km caldera partially filled by Lake Leonard. 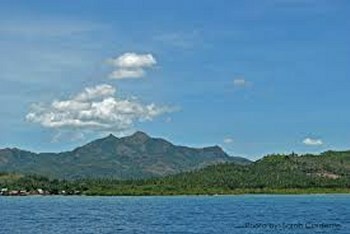 The volcano (also known as Leonard Kniazeff) is located east of the head of Davao Gulf in SE Mindanao, east of the major N-S-trending Philippine Fault. Activity at the Leonard Range dates back to 1.1 million years. A dome building stage began about 290,000 years ago, producing a series of lava domes in the region surrounding Lake Leonard. A younger stage involved the eruption of the Paloc pyroclastic deposits from the late-Pleistocene to Holocene and the formation of the caldera. Holocene radiocarbon dates ranging from about 6000 to 1800 years ago were obtained from the Paloc pyroclastic deposits. 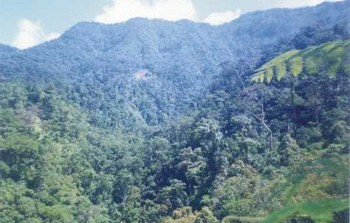 The Leonard Range (or North Davao) area has been the object of a geothermal exploration program. The Manat thermal area is located north of Lake Leonard, solfataras occur its SW rim, and active solfataras, fumaroles, and hot springs are found in the Amacan-Gopod thermal area south of the lake. 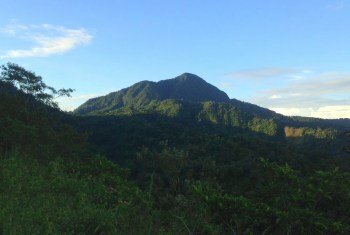 Mahagnao Volcano (also known as Kasiboi or Casiboi Volcano) is a dormant volcano located in the municipalities of Burauen and La Paz in the province of Leyte. 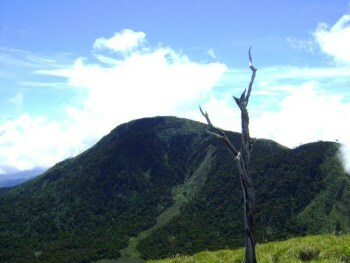 The summit of the volcano is a steep-walled heavily forested crater that opens to the south with a peak elevation of 860 metres. Located on the volcano flanks are fumaroles and mudpots. 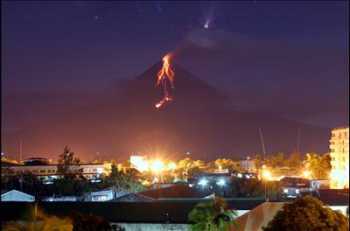 There is still some controversy on the number of times Makaturing erupted. The Philippine Institute of Volcanology and Seismology lists 10 eruptions with the last one occurring on March 18, 1882. But the Smithsonian Institution's Global Volcanology Program, citing the Catalog of Active Volcanoes of the World (Neumann van Padang, 1953), suggests that some eruptions were actually those of neighboring Ragang volcano. The stratovolcano has no historical eruption but displays strong fumarolic activity which is harnessed for generating electricity. Located on its slope is Tiwi Geothermal Power Plant, one of the first geothermal energy plant commissioned in the country. There was an increase in seismicity in 1970 accompanied by rumbling noises in Malinao prompting an issue of warning that the mountain might be reactivating. There was a minor phreatic explosion in the Naglagbong pool area in Tiwi on July 29, 1980, ejecting mud and rocks, reaching 150m in height and distances up to 350m. Malindig is considered a potentially active volcano, in part because of the solfataric springs of Malbog. The summit has sharp peaks. No recent eruptions have occurred at the volcano. 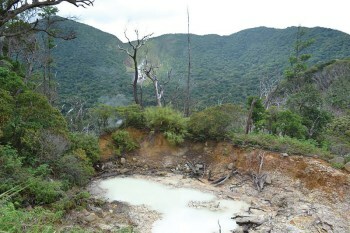 Hot springs are active at its western base. 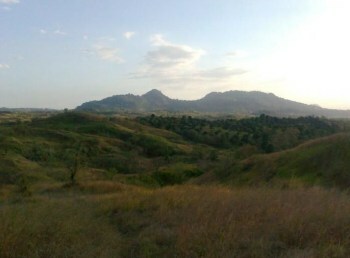 Mandalagan is a deeply dissected complex volcano, with a highly altered volcanic dome. Volcanic activity is reported to include seven volcanic centres, at least five craters and/or calderas up to 2km in diameter, and a vigorous solfataric area at the highly altered volcanic dome structure. One solfataric area emits a high-temperature (106 degrees C) plume to 30 m height with a roaring noise like a high-pressure geothermal borehole. The most recent eruption produced a thin basaltic lava flow, but it is not known when this is likely to have occurred. 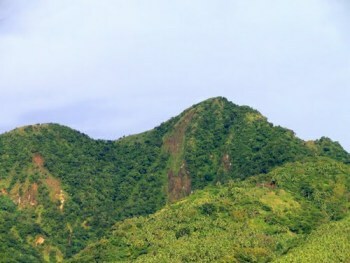 The small, but voluminous Mariveles stratovolcano is located at the southern end of the Bataan Peninsula, on the west side of Manila Bay, Luzon Island, Philippines. Although there are no known eruptions in historic times, it is a still active stratovolcano of andesitic composition. It has a 4-km-wide caldera open to the south. Mount Slamet on the north and Mount Limay on the east are 2 large, young flank cones. Mariveles is still thermally active with the following hot springs located within the complex: Tiis Spring, Saysain Spring, and Pucot Spring. Activity Fumarolic. Thermal springs in Almoan and Linan. Activity Fumarolic and solfatares. Crater glow. Volcanic tremor. 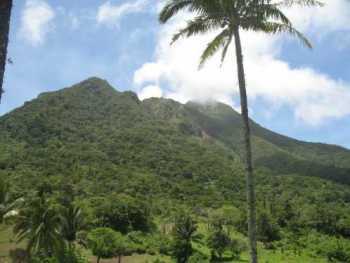 Mount Natib is a dormant volcano and caldera complex located in the province of Bataan on western Luzon Island of the Philippines. 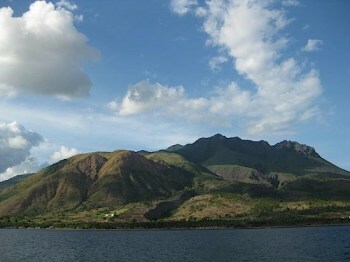 The volcano complex occupies the northern portion of the Bataan Peninsula. 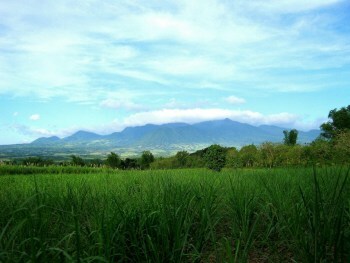 The mountain and adjacent surrounding is a protected area first declared as the Bataan National Park in 1945. 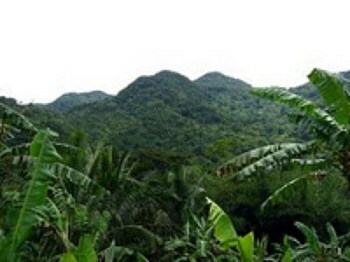 Panay is a forested, low, andesitic stratovolcano, on the western side of Batangas Bay, which could be a breached caldera inundated by the sea. Panay is strongly solfataric at present. Mount Patoc is an andesitic stratovolcano in the Cordillera Central of north-central Luzon, Philippines. It has strong fumarolic activity. 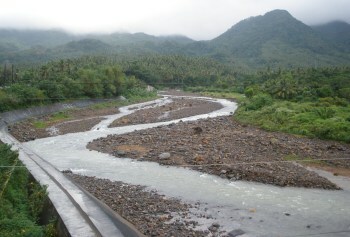 A small river and a village on the west side are named "Mainit", which means hot. Prior to 1991 Pinatubo volcano was a relatively unknown, heavily forested lava dome complex located 100 km NW of Manila with no records of historical eruptions. The 1991 eruption, one of the world's largest of the 20th century, ejected massive amounts of tephra and produced voluminous pyroclastic flows, forming a small, 2.5-km-wide summit caldera whose floor is now covered by a lake. 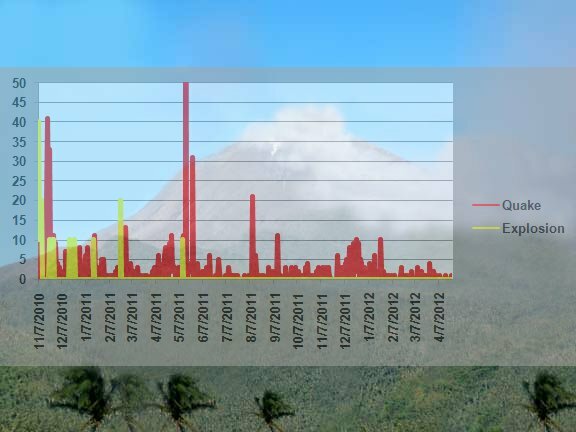 Although the eruption caused hundreds of fatalities and major damage with severe social and economic impact, successful monitoring efforts greatly reduced the number of fatalities. Widespread lahars that redistributed products of the 1991 eruption have continued to cause severe disruption. At least six major eruptive periods, interrupted by lengthy quiescent periods, have occurred from modern Pinatubo volcano during the past 35,000 years. Most of these have produced major pyroclastic flows and lahars that were even more extensive than in 1991. 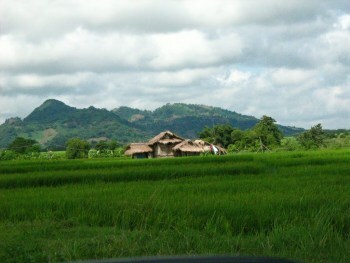 In total, about 30,000 people lived on the flanks of the volcano in barangays and other small settlements. 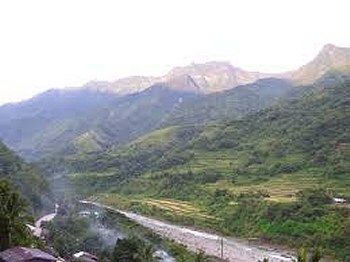 About 500,000 people continue to live within 40 km of the mountain, with population centres including the 150,000 in Angeles City, and 20,000 at Clark Freeport Zone. 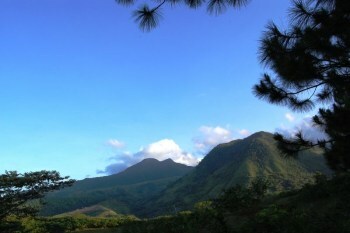 The Pocdol Mountains are a volcanic group of strato-volcanoes in Sorsogon. The range is also known as the Bacon-Manito Volcanic Group. 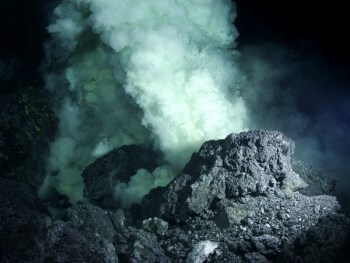 A fumarole field that contains sulfataras and chloride hot springs, is reported to be located near the summit of the volcanic group. Mount Ragang, also called Mount Piapayungan and Blue Mountain by the local people, is a stratovolcano on Mindanao island in the Philippines. 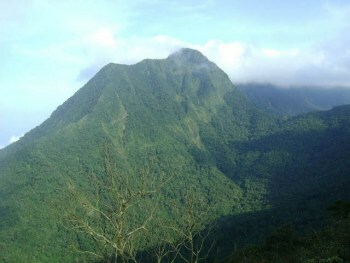 It is the seventh highest mountain in the Philippines. There is still some confusion on the number of times Ragang erupted. 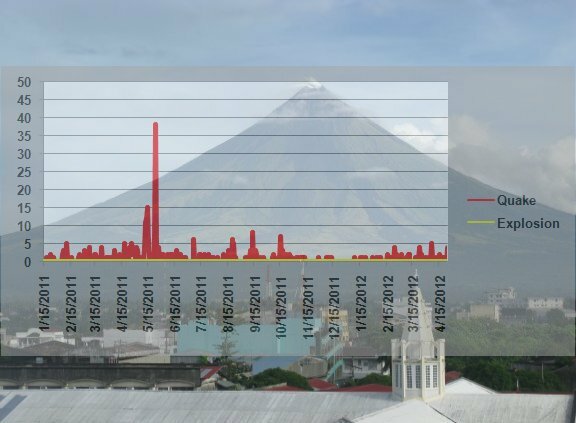 PHIVOLCS lists eight eruptions with the last one occurring in July 1916. But the Smithsonian Institution's Global Volcanology Programs suggests that some eruptions attributed to nearby Makaturing were actually those of Ragang. 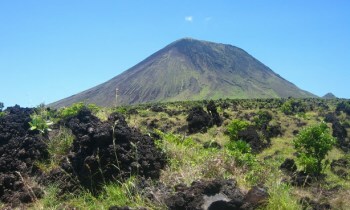 Mount Santo Tomas is a stratovolcano with numerous volcanic vents and fissures. 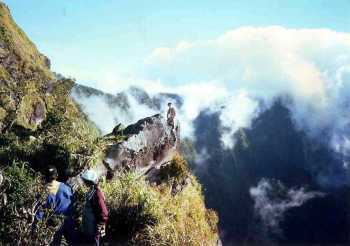 Mount Santo Tomas Benguet is close to the auriferous volcanic placements near Baguio, and beside the fault line which occasioned the July 16, 1990 earthquake devastating much of Luzon, and especially Baguio. 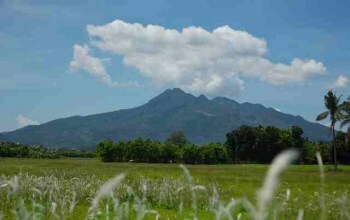 Silay volcano is the northernmost volcano on Negros Island lies 28 km east of Silay City. 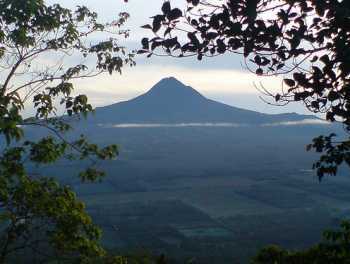 It is a basaltic-andesite stratovolcano with a partially breached, 3.5-km-wide summit caldera. 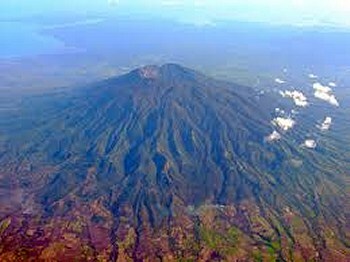 It is unknown when the last eruptions occurred at Silay volcano. The Malisbog solfatara field has fumarolic activity and extensive sulfur deposits. 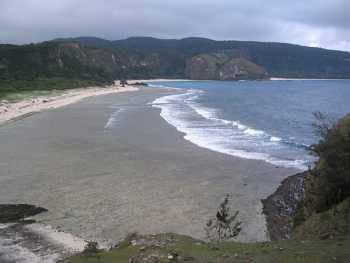 Five Pleistocene-to-Holocene volcanic centers occupy Babuyan de Claro Island north of Luzon. The largest edifice is Mt. 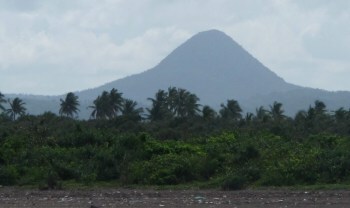 Pangasun (Babuyan Claro), an active stratovolcano with two summit craters 300 and 400 m in diameter. 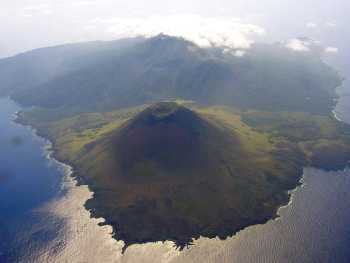 The symmetrical basaltic andesite cinder cone of Smith Volcano, located 4 km to the NW of Babuyan Claro, rises to 688 m and is the youngest volcano on the island. 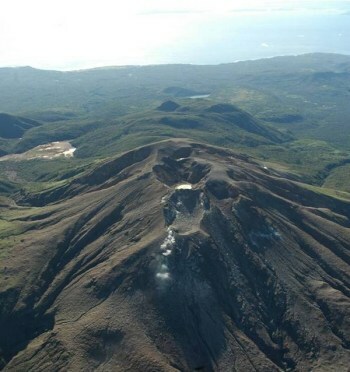 Both Babuyan Claro and Smith volcanoes have apparently been active in historical time, although the identity of the erupting volcano is not always certain. 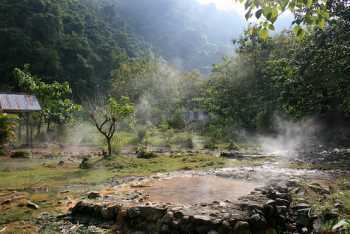 Askedna Hot Spring is located at the southern base of Babuyan Claro. Activity Fumarolic and solfatares. Volcanic tremor. Taal volcano is one of the most active volcanoes in the Philippines and has produced some of its most powerful historical eruptions. In contrast to Mayon volcano, Taal is not topographically prominent, but its prehistorical eruptions have greatly changed the topography of SW Luzon. 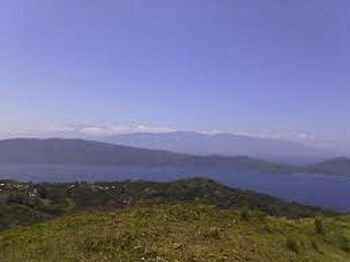 The 15 x 20 km Talisay (Taal) caldera is largely filled by Lake Taal, whose 267 sq km surface lies only 3 m above sea level. 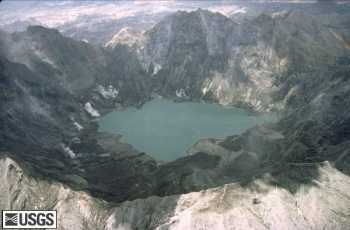 The maximum depth of the lake is 160 m, and several eruptive centers lie submerged beneath the lake. 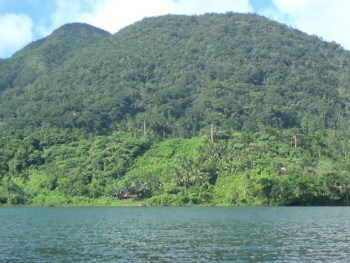 The 5-km-wide Volcano Island in north-central Lake Taal is the location of all historical eruptions. 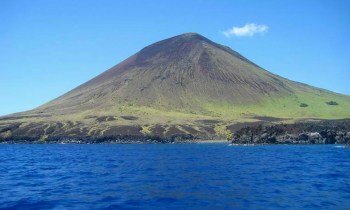 The island is a complex volcano composed of coalescing small stratovolcanoes, tuff rings, and scoria cones that has grown about 25% in area during historical time. Powerful pyroclastic flows and surges from historical eruptions of Taal have caused many fatalities. 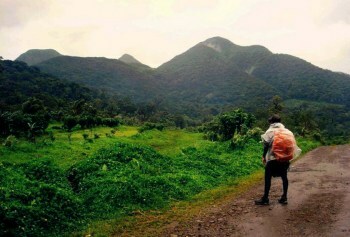 Mount Talinis, also known as the Cuernos de Negros (Horns of Negros), is a complex volcano in the province of Negros Oriental. Cuernos de Negros is classified by the Philippine Institute of Volcanology and Seismology as a potentially active volcano forming part of the Negros Volcanic Belt. Andesite and basalt are the most abundant rocks found on the mountain. With a base diameter of 36 kilometres, the volcanic complex is composed of several volcanic cones and peaks, the most prominent of which are Talinis, Cuernos de Negros, Guinsayawan, Yagumyum Peak and Guintabon Dome. The mountain range is very fumarolic with several solfataras and steam vents located on its slope that are harnessed to generate electricity.